Because of its proximity and stunning scenery, it’s no surprise why New Zealand is a favourite holiday destination for Aussies. 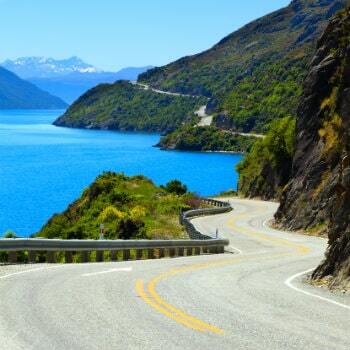 If you are considering hitting the road in the "Land of the Long White Cloud," VroomVroomVroom has compiled a quick guide on the do's and dont's of taking a road trip in New Zealand, so you can get behind the wheel and enjoy the ride. Decide if you need a campervan or a car. This will depend according to your budget, itinerary, and travel style preference. Travelling with a hire car is faster and can be a great option especially if you are on a limited time. Renting a car offers flexibility knowing that finding a good place to stay like a hostel is easy. While travelling in a campervan can be a good option as New Zealand has plenty of holiday parks, campgrounds and even freedom camps to stay at. Familiarise yourself with local signs. 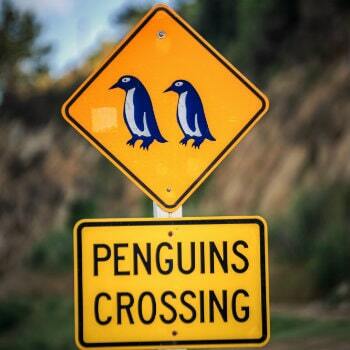 There are many similarities between driving rules in New Zealand and Australia. These include driving on the left-side of the road, adhering to the speed limit and wearing of seat belts. However, keep in mind that road authorities may have special rules for road users on New Zealand roads. Consider the length and locations of your road trip. Most NZ roads have varying conditions, and are often narrow, windy, and ice-covered. You will need at least 14 -21 days for a more extensive trip to visit both the North and South Islands by road. Check the forecast and expect weather changes. Weather conditions in New Zealand can be highly changeable, so it important to always check the rural and mountain forecasts for the region you are heading as they can different from an urban forecast, such as a major city or town. Beware that petrol stations are not as frequent off the main highways. Gasoline stations can be difficult to find in some remote areas of the South Island, and State Highway 27 via Matamata, Rotorua and Taupo has a 70km stretch without a petrol station. Don't miss the tourist drive signs. Popular tourist attractions in New Zealand will have signs directing you along the area’s scenic drive, letting you to turn off the GPS on your phone and enjoy the drive. Some of our favourite road trips include the Bay of Islands, the West Coast, cities of the East Coast and The Coromandel. Don't abuse freedom camping regulations in New Zealand. If you see a round red and white sign with a red bar through a tent and caravan, that means camping overnight is not permitted. A blue sign with a white caravan and ‘Self Contained` written beneath it means camping overnight is permitted for self-contained vehicles only. Due to larger numbers of campervan travellers each year, there are laws in place to prevent freedom camping which means you can be fined if you camp illegally. Don't stop on the side of the road to take photos. From thousands of picturesque lakes to spectacular mountains and glaciers - you will probably want to pull over every 15 minutes if you are a first-time visitor. Please don’t do this! Don't stop on the side of the road to take photos no matter how lovely the view is. If there’s no designated pull-off or a driveway for you to stop on, just keep driving to avoid getting into an accident. Don't drive the wrong car over mountain passes. Determine what type of vehicle best suits the routes you are taking. You will need to hire snow chains during winter (May to September) as driving conditions especially in South Island can be very challenging. Don't drink and drive. Drink driving is a serious offence in New Zealand. Heavy fines and even jail time can be given to offenders.